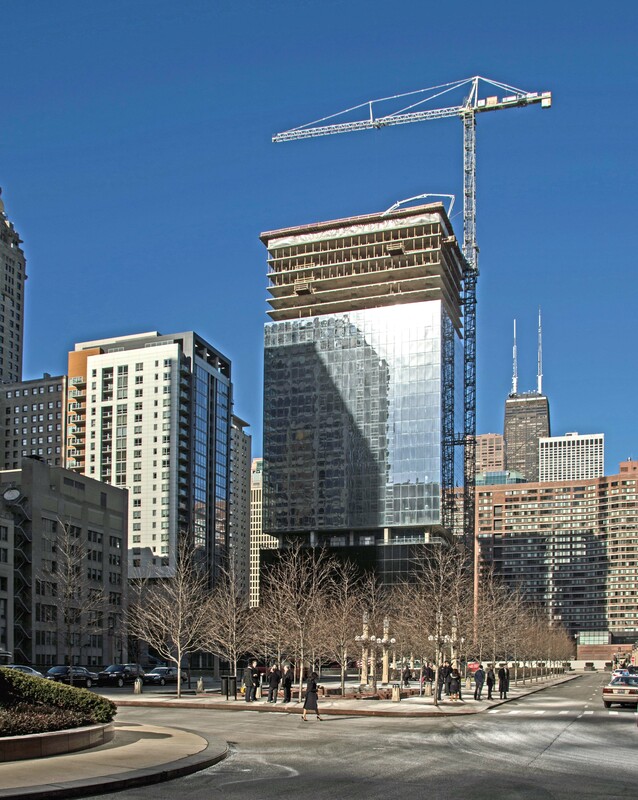 Optima Center is still being developed and is located at 200 East Illinois Street on Parcel 1 (aka Sub parcel B) of the larger Cityfront Plaza planned development in the Streeterville neighborhood of the city of Chicago, Cook County, Illinois. The site is a previously vacant lot with a reported area of 0.34 acres. The development consists of a 42-story multi-use building containing three retail/office levels, eight parking garage levels, two amenity levels, rental apartment levels, and a mechanical penthouse level. A sky deck will be located on the main roof level. The building will contain 325 multifamily residential apartments, a reported 20,317 square feet of commercial retail and office space, and 238 garage parking spaces. A total rentable area of approximately 333,293 square feet has been reported. The total gross building area is indicated to be 533,990 square feet. PR&A has been retained to provide a Design and Document Review and construction monitoring during development. This project has an expected completion date of December 2013.